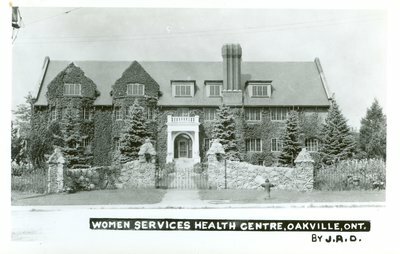 A black and white postcard featuring a photograph the Oakville Women Services Health Centre. Women Services Health Centre, Oakville, Ont. By J.R.D.